Are you looking for ways to help your students with USAGE in their sentence writing? This post was designed to give you ideas when teaching a lesson When using the acronym CUPS (Capitalization, Usage, Punctuation, Spelling) for editing, this post will focus on the U for USAGE. It will cover subject-verb agreement, double negatives, complete sentences, run-on sentences, verb forms, and verb tense. Follow the steps below when teaching USAGE in an upper elementary classroom. 1. 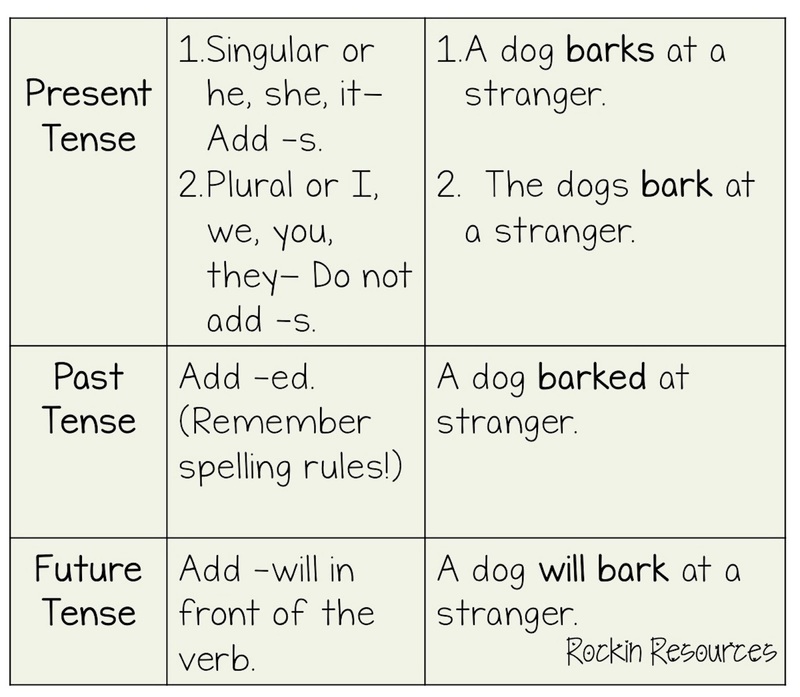 Subject-Verb Agreement– Singular subjects need singular verbs, and plural subjects need plural verbs. 2. Double Negatives– Do not use two or more words that mean “no” in the same sentence. 3. Complete Sentences– Sentences need a subject and predicate. A. Two Sentences: Tristan plays soccer. They won the game. B. Compound Sentences: Tristan plays soccer, and they won the game. Model these skills in the class rough draft. If you don’t own the interactive writing notebook bundle for your grade level, take the rough draft of your class story and make usage mistakes throughout. If you own the notebook, this is already done for you. Make sure to cover all of the rules above. Then display it and show students how to correct each area. Talk out loud while you are editing for usage so students can hear your thinking process. For this step, give students mini anchor charts with the information to put in their notebook or provide a student resource with the rules for usage. Give students practice with each area above. The more practice they have with editing for usage, the better proofreaders they will become. Students should now apply these rules to their own rough drafts. Ask students to scour through their rough drafts looking for these errors. Remember they are detectives! Encourage this step and make it fun! Give them magnifying glasses! Have students share where they found mistakes in their own writing. This works well in partners and small groups. Don’t forget to continue the writing workshop series! There are more on editing with CUPS.